Size: 202 sq. m. "2174 SQ FT"
Located in the prestigious development of Puerto Cancun, This is one of the newest towers. You will enjoy coming home every day to your luxury apartment in the sky. Fantastic views boast dreamy sunsets as the lights come up over the city. Views of the pool and Puerto Cancun in the backdrop. This generously sized 2 bedroom unit features porcelain tile flooring through out and high ceilings. This has an open concept living area making for ease of entertainment. Kitchen is styled with black granite counter tops with dark cabinetry. There is a kitchen island perfect for prep space. The breakfast bar opens to the dining and living area. Floor to ceiling sliding doors open in multiple ways to make a great living area. Outside on the terrace ti plenty of space for table and chairs or lounging. The master bedroom shares the terrace and has a jacuzzi to take in the sites while relaxing. The master also has walk in close, double sink and separate shower area. The second bedroom is separated by a half bath for guests. Around the corner is the second bedroom with full bath and walk in closet. You will enjoy the city lights from this room. Again, floor to ceiling sliding doors keep any noise outside and quite inside. Just beyond the kitchen you will find a pantry for extra storage and separate laundry area. Continuing you will find a service quarters with full bath. This space is very versatile can easily be used as a 3rd bedroom or private office space. This apartment also comes with 2 reserved garage parking spaces. You will fall in love with the onsite amenities including 24 hour security, upscale lobby in each tower, gym, spa, lap pool and family pool area. 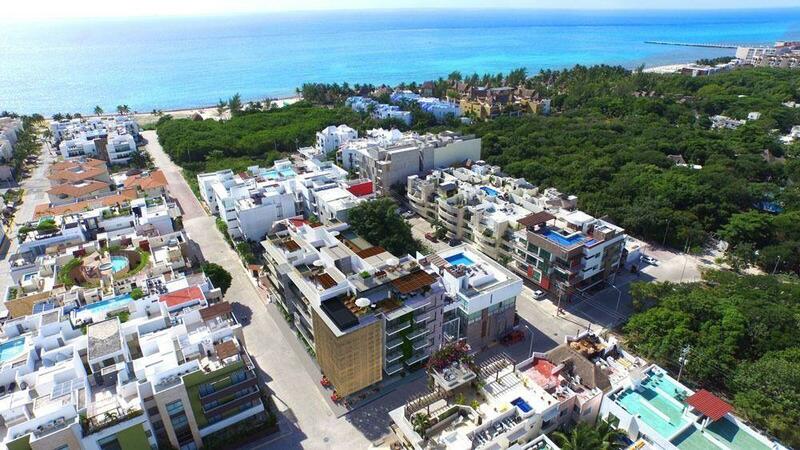 You will also appreciate the close proximity the the Puerto Cancun Golf course, marina and new town center with shopping, restaurants and movie theater. This apartment is offered unfurnished for you to add your personal style! Start enjoying the lavish lifestyle that is Puerto Cancun! Please no pets at this time.